Fuelled by billionaire Tom Steyer, the mob is waiting the outcome of midterm elections. Assuming Democrats control the House, the mob will be on the march, igniting the fires of Trump impeachment. 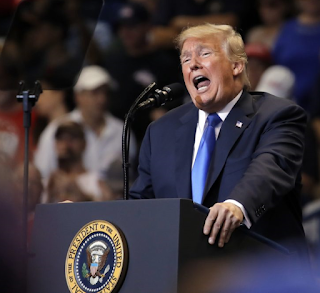 Polls show 50 per cent of Americans back impeachment. 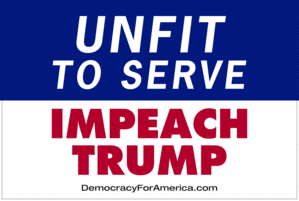 The “Need to Impeach” movement, funded by Steyer’s $50m, has signed up more than six million people and claims to be growing by 3,000 a day. It boasts it is bigger and more powerful than the National Rifle Association. Only two presidents have been impeached — that is, charged by the House of Representatives. No president has ever been convicted and removed from office. 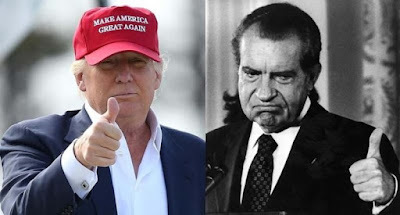 Republican Richard Nixon quit in 1974 when it became clear that impeachment was inevitable. When Robert Mueller, the special counsel investigating Russian interference in the 2016 election, delivers his report, the House Judiciary Committee will have a constitutional obligation to investigate and lay charges. That is, to impeach Trump and remove him from office.